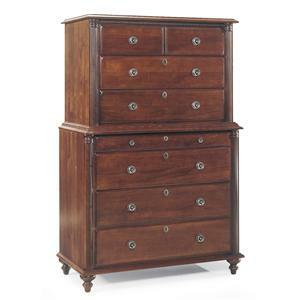 A beautiful reproduction of a century ago Sheraton design, this chest on chest offers eight storage drawers with flat felt liners, including a lockable jewelry drawer. 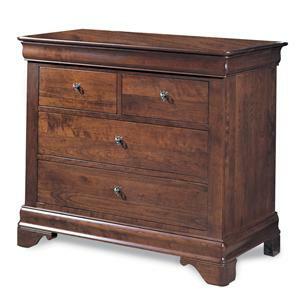 Its antique looking hardware and carved turned feet offer even more traditional style personality for the perfect storage piece. 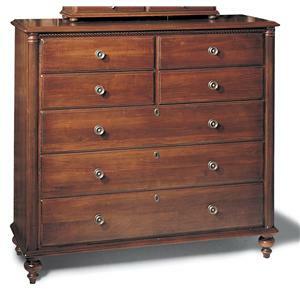 The Saville Row Traditional Solid Wood Chest on Chest by Durham at Stuckey Furniture in the Mt. Pleasant and Stuckey, South Carolina area. Product availability may vary. Contact us for the most current availability on this product. Handles & Hardware Antique-like brass knobs and backplates. Case Detail Spiral carvings. Carved turned, feet. 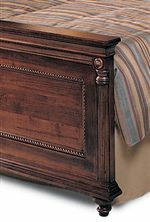 Paneled headboards & footboards. 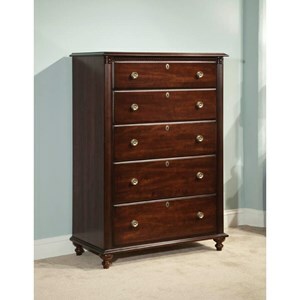 Storage Thin drawer on top of bottom half is lockable. 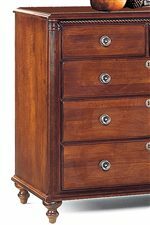 Case Construction The inner construction of each case incorporates mortise and tenon construction, a system of joinery preferred for centuries by master craftsmen to insure the structural stability for the life of the piece. This collection recalls the halcyon days of the British Empire with its attention to detail, styling, and superior craftsmanship. 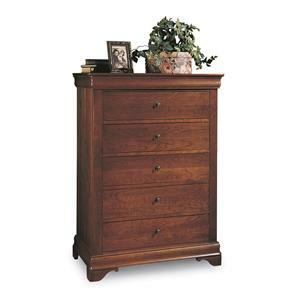 The solid maple construction is the ideal base for its warm brown Mahogany Victorian finish. 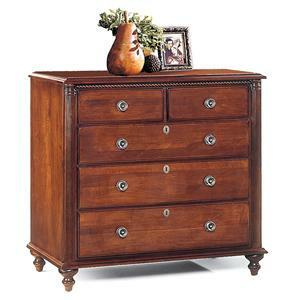 Admire the detail in the antique-like brass knobs and backplates, as well as the turned feet and wood moulding. 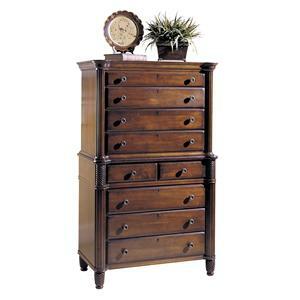 The Saville Row collection is a great option if you are looking for Traditional furniture in the Mt. Pleasant and Stuckey, South Carolina area. 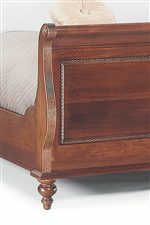 Framed Footboard with Distinctive Carvings. Turned Feet & Spiral Detailing on Chest. Spiral Carvings on Sleigh Footboard. 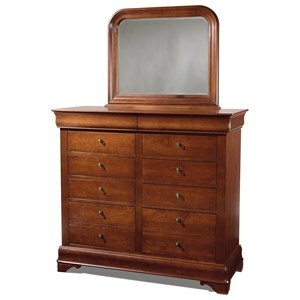 Browse other items in the Saville Row collection from Stuckey Furniture in the Mt. Pleasant and Stuckey, South Carolina area.